Elasea Douglas is a gifted singer, songwriter, dancer and actress. Like many other singers, she first started singing in church as a young child. For a short time as a toddler, she believed she was the reason everyone attended the services so she took full advantage of the choir’s pauses and other quiet moments to let her voice be heard. When she was a little older, she humbled herself by singing in her schools’ glee clubs, choruses and musicals. In her teenage years, she attended Bayside High School Academy of Music where she primarily received classical vocal training. She was also heavily involved in dance and theatre, in addition to being introduced to jazz during this time. Because singing was her forte, Elasea decided to double major in dance and theatre at Hunter College while she still continued to do her fair share of singing with worship groups throughout the country. After graduating from Hunter College, Elasea performed in several Off-Broadway shows including Dreamgirls and most impressively, a one-woman show called A Role Once Played. She made her Broadway debut as part of the original cast of the Tony Award winning show, FELA! Even though she enjoyed theatre immensely, she somehow still felt unfulfilled. She was advised to channel her creativity into her own art so she began working with producers and writing and recording her own music. 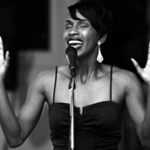 She’s performed these jazzy and soul stirring originals at numerous venues including The Knitting Factory, Nuyorican Poets Cafe, Cafe Wha?, Iridium Jazz Club and Groove Cafe. Although she still loves dancing and acting and will undoubtedly utilize these talents again, creating and singing her own music has been the second most rewarding experience of this flourishing star’s young career…obviously her legendary church performances as a toddler will always be first! 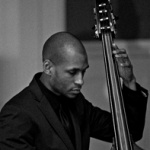 Sadiki Pierre is a talented upright bass player who is uniquely capable of playing and fusing almost any style of music including classical, jazz, latin, reggae and R&B. When he first started playing the upright bass, he had no interest in actually learning the instrument and instead was only looking for a way to get out of his sixth grade class. Fortunately, he chose the right distraction from his schoolwork. It soon became apparent that he was quite musically adept. Although his parents could not initially afford to buy him his own instrument and pay for private lessons, he was still chosen to perform with the New York State School Music Association’s All-State Orchestra in addition to performing with another prestigious student orchestra throughout Europe. Despite the encouragement of those closest to him to study at a school like Juilliard or Berklee to become a full-time musician, Sadiki chose to attend an aviation school called Daniel Webster College in order to pursue his childhood dream of becoming a professional pilot. Nevertheless, he still enjoyed playing in his spare time so he continued to perform with various community orchestras and string ensembles such as the Greater Newburgh Symphony Orchestra. He also occasionally trained with a few esteemed double bass teachers including a member of the New York Philharmonic. His focus on classical music inadvertently created a longing for musical freedom that drove him to study and master jazz. Since then, he’s performed at numerous jazz clubs throughout New York City, the Hudson Valley, Boston and New England. While Sadiki became a promising classical and jazz bassist, he wasn’t still musically satisfied. He tried his hand at several other styles by playing with blues, gospel, R&B, funk and latin groups but ultimately, they limited his freedom to move freely back and forth between the styles. Because of this, he decided to retire from music shortly after graduating college. After a ten-year hiatus, he has rediscovered his love for music. Most importantly, he has finally found the musical projects that allow him to freely mix the different styles that he loves and form the percussive, melodic and groovy style that he will surely be known for.